A good mosquito shirt can be a perfect solution to spending time in a mosquito-prone area. Unlike the old days when mosquito-designed garments looked like you were trying to safari, today’s mosquito shirts can be stylish, functional, and most of all comfortable. They provide an incredible added benefits of keeping the sun off of your arms and neck (if you have a collared version). We have been using good mosquito shirts for several years now, during times when we know we will be in tall grass, heavy forest, or other rural areas that have little mosquito control. 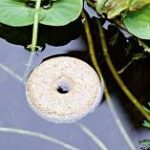 We have used them on canoe trips in the northwoods and while working outside at the height of summer bug season. Compared to using a heavy dose of mosquito repellents, a mosquito shirt is a very green options – especially if you get one made from organic or recycled material. Instead of dousing yourself in repellent, you simply put on a comfortable shirt that solves much of the mosquito problem. If you focus on quality, you will find that many of these shirts are so comfortable that they become a great warm-weather outdoors shirt even when mosquito protection is not the #1 priority. Many of these shirts protect against the sun, too, so you are doing your skin a favor as well as protecting against bites. We will talk about what to look for in a mosquito shirt below, but first we wanted to get right to the point: Our favorite mosquito (or other insect) shirts on the market right now. Ex Officio Tarka Long Sleeve Tee (Bugsaway). Here. The first of two Ex Officio models that we like, this one is in a long-sleeve tee design which some will prefer. 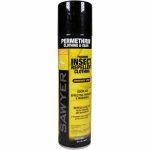 Made of a quick-drying polyester knit, the bugs will find that they cannot penetrate this shirt and quickly lose interest. It is anti-microbial so you will not develop a bad stench after just a few wears. We have liked the Exofficio brand for many years, as they seem to do a great job with their design and production. It is treated with Insectshield, something that can add another layer of mosquito repelling qualities. If you prefer a shirt that is not button-down, this is probably the best one for you. Find here. Ex Officio Bugsaway Viento. Here. 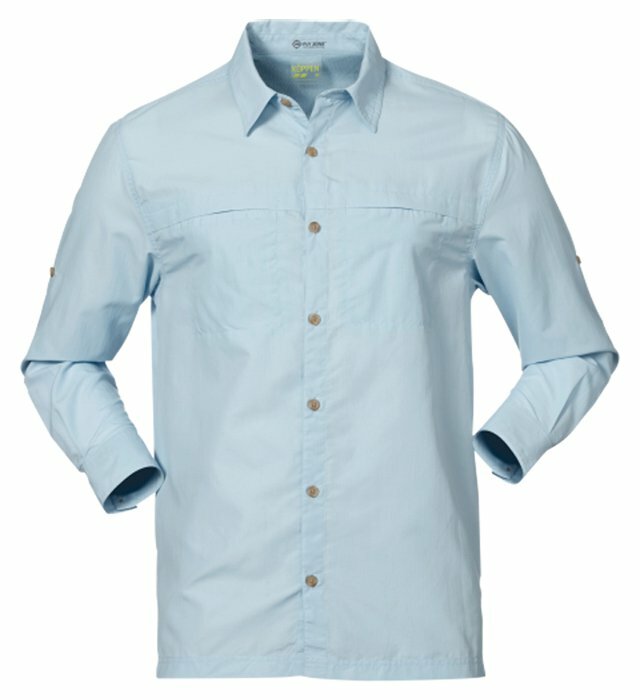 Also from ExOfficio, the Viento shirt is a more traditional button-down model with a collar. If you want a shirt that will look good in many settings — even some that are a little on the upscale side — this shirt will work. Cut in a way that looks stylish, it is designed to keep the bugs away from your skin. Built-in vents allow for airflow when you are in hot, sticky situations, and the Insectshield treatment gives it an extra layer of protection if you are looking for even more repelling action. Plenty of pockets and buttons allow you to use this shirt however you need to. We have found that the fabric holds up very well to repeated use, so you can put it to work in the heat without having a smell affect the life of the garment. Find here. Toad and Company Debug Shirt Line. Here. Toad and Company caught our eye after another shirt we were fans of had to drop from the list due to durability issues. The Toad and Company Debug shirt lived up to expectations, and we decided it was worth adding. If you aren’t familiar with Toad & Co, they are a eco-friendly and sustainably-minded clothing maker, and they make quality clothing. The Debug shirt is a very light garment, perfect for those hot summer days when the long-sleeves will be useful against bugs but you can’t afford overheating. 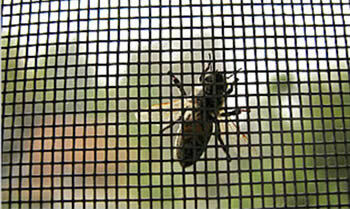 The InsectShield technology is highly effective, keeping bugs away even in peak season and under heavy use. A good shirt, and while not cheap, one that will wear well over time. Find here. Columbia Insect Blocker. Here. Columbia has been making nice gear for a long time, even though they are based in the relative mosquito-free zone of Portland, OR. Their mosquito-and-insect-repelling shirts have gotten strong reviews in the market. 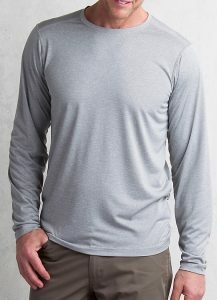 We like the Insect Blocker shirt, especially popular with women, another long-sleeved tee that tends to fit well on most people. It is 100% polyester, similar to many others, and has good length and coverage to provide max protection. A long zipper on the front helps its functionality and gives it just a touch of added style. Find here. Patagonia Mosquito Shirt. 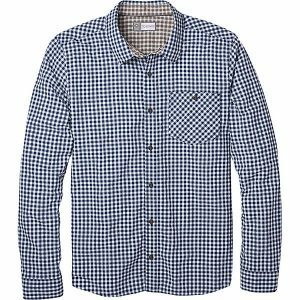 We love our Patagonia shirt, something that is a mainstay in our duffel or backpack anytime we are headed out in the woods. 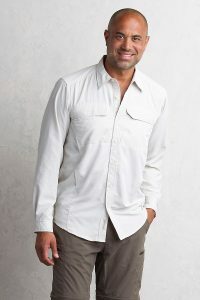 Made with recycled cotton or hemp, and with the Patagonia quality we have come to expect, this is a comfortable, breathable shirt that even feels good when it is a hot summer day. It is so lightweight that it can double in situations where your main goal is to keep the UV Rays off of you so you don’t get sunburn. Made of soft fabric, the pronounced collar and buttonable cuffs allow you to seal out mosquitoes where they are most apt to sneak to your skin. It is quick drying, and rarely smells of body odor. The shirt tends to be very wrinkle-free so it packs well. It does not include built-in repellent, but in our experience it is not necessary. Highly recommended. When looking for your next mosquito or insect repelling shirt, here are a few things you should be on the lookout for. Fabric. You will typically find either polyester or nylon as the main fabric in any type of mosquito or insect-repelling shirt. Studies show that a fabric with a thickness of 1.2mm tends to stop mosquitoes, and polyester and nylon are two good examples of fabric that tend to perform well at that thickness. Cuffs and Neck. We recommend that you go with garments that have snug, or adjustable, cuffs around the sleeves and neck. This is because, while your torso will be covered and protected, you will be exposed to bugs who want to come in around your neckline or at your wrists. Being able to cut the insects off quickly will help mitigate the number who try to invade. Repellent. We say this one is iffy. Having extra repellent built into the fabric is probably a good thing in terms of repelling mosquitoes. However, our testing suggests that a garment without repellent is still highly effective. If you want that last 10% of protection, go with the built-in repellent. Otherwise, having anything that is designed to be mosquito-protecting will be a quantum leap from what you had before. 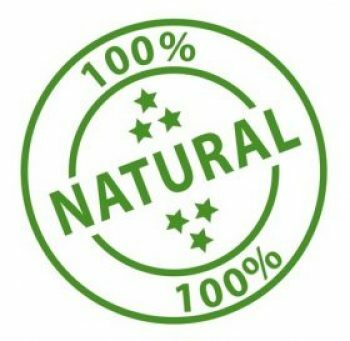 The chemical used to treat most shirts is a form of permethrin, something that protects against ticks in addition to mosquitoes, definitely a selling point if you will be in a tick-prone area. AntiMicrobrial. Because these garments are largely worn in the summer, and in settings where you might be active in heat, you want to be sure that the sweat does not become a factor in the long-term performance of the shirt. We like garments that are antimicrobial, so the sweat will not set in quickly. Note that cotton shirts actually perform well in this regard too. We have been pleased with the shirts we have used, and found that over time they tend to hold up well and act as if they are brand new after each washing. All of the shirts listed above have some level of breathability and, in some cases, tested antimicrobial properties. Stick to those and you will have a shirt that lasts longer for you. SPF. UV protection is important, and we have found that a good mosquito shirt doubles as a very effective sun blocker in settings where you will be in the hot summer sun. Think canoeing, hiking, fly fishing, all settings where it will be nice to keep the bugs away, but at the same time not have to use quite as much sunscreen as you might have otherwise. These shirts are great in the sun because they are designed to be lightweight and cool…. you will hardly realize you even have it on. Price. Of course, everyone’s budget is different. Most of the garments we profiled sell for under $75. We recommend not skimping. Unlike like socks or t-shirts, this is one thing you not need to be 5 or 10 of. Buy one good mosquito shirt, make sure it is good quality, and you will be happy with your purchase for years to come. If you go cheap on a shirt from an unproven manufacturer, you can expect the shirt to not last as long, or not be as breathable in the heat which will cause you to want to wear it less. Our favorite combination of mosquito defense, when we are out in the wild or the woods, is the 1-2 punch of a good mosquito shirt (preferably long-sleeved) and mosquito repellent, combined with long pants and some sort of hat. With that much of your skin covered, the mosquito repellent can be used sparingly. We like to squirt a little on our nick (front and back), around our ears, and on our hands/wrists. That helps your exposed skin stay protected on the long hike, portage, or while sitting at a campsite before a fire is going (the smoke from fires will keep mosquitoes away, too). This combo is also effective against black flies, which tend to go for your head and neck area.